grateful for folks like you. Chalmers Johnson died on November 20. 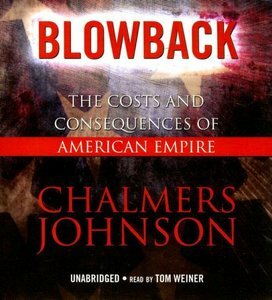 Johnson had written the best selling trilogy on the meaning of September 11, 2001, and the collapse of the American empire, writes John Nichols. Jews say Pope Pius XII never publicly expressed any condemnation or regret after World War II. While the introduction to my “Education and Youth” essay was clichéd and I may not have known what many of the terms actually meant, its overriding sentiment remains as true for me now as it ever was, writes Ramzy Baroud. And the Lord answered, 'Have you seen my spec sheet on her? Netanyahu understands that the cost to the US in lives and treasure from war with Iran could potentially be catastrophic but it is a price he is willing to pay, notes Philip Giraldi.